The readers have spoken. Team Jalopnik has our cars and our outfits ready to go. The Blaupunkts have Stop Making Sense on cassette ready to go. All we need is you at Radwood Philadelphia on Sunday! All Hail The Radwood Philly Jalopnik Reader Contest Winners! 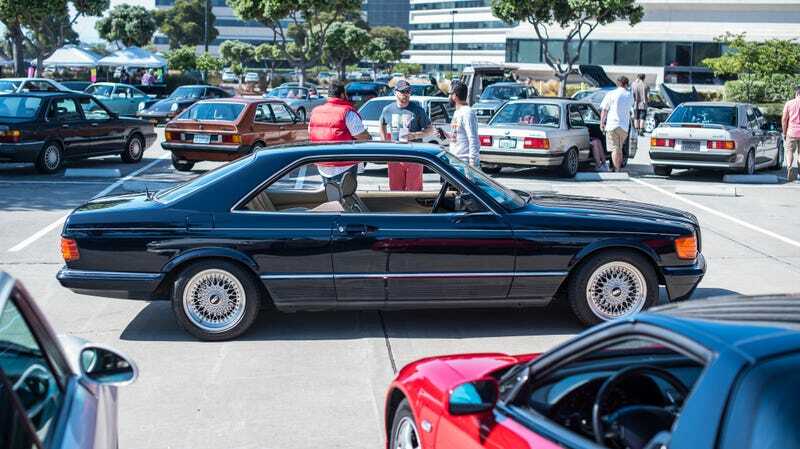 This serves as your final-ish reminder that everyone’s favorite ’80s and ’90s car show is coming to Philly on Sunday. If you’re anywhere near there, you should come, and you can register right here. We spoke to the organizers yesterday and they tell us the venue, the Philadelphia Navy Yard, venue agreed to close off another street, so it can fit another 50 to 60 cars. This show’s gonna be big and there appear to be plenty of spots left—for now. So register while you can. How much: $10 to spectate, $25 to show your car, $15 to show your motorcycle. $70 for Radwood Royalty, the best of the best and subject to organizer approval, but that gets you showcase parking and a t-shirt. Kids 12 and under get in free. Our three Jalopnik readers will have their cars on display at a special area, and we’ll be roaming the grounds, shooting video and gawking at all the sweet rides, probably openly crying as well. We do that when we get excited. Radwood Is Coming to Philadelphia on Oct. 14! Are You Rad Enough to Be There?